On a very good and quiet location located ground floor apartment in the district "Scharn". 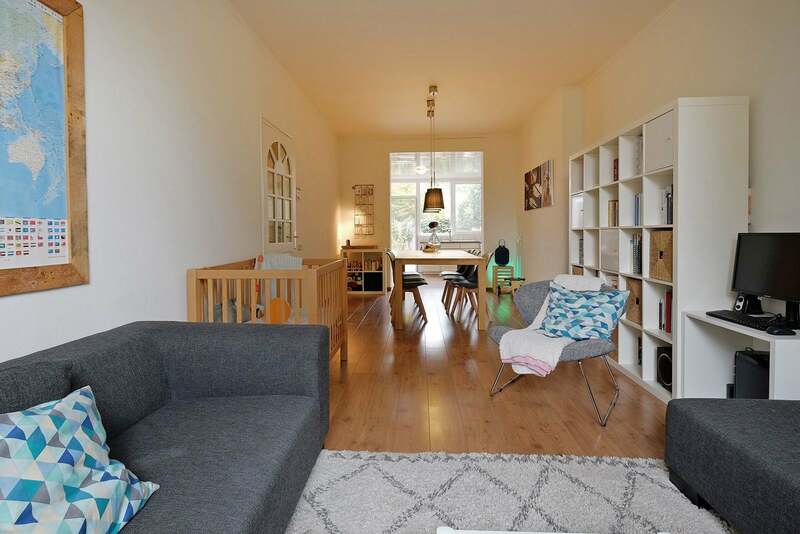 The spacious apartment has 2 bedrooms, a large basement and a nice garden. Souterrain: large basement with heating system. Ground floor: Entrance / hall with access to the bedroom, bathroom, separate toilet, basement and living room with open kitchen. The open kitchen is equipped with a refrigerator, freezer and a cookingplate. From the kitchen you have access to the fully enclosed garden. The bathroom has a corner bath and washbasin. Bedroom 1 is located at the back of the house. First floor: Bedroom 2 with laminate flooring.